Newsome, Hampton. Richmond Must Fall: The Richmond-Petersburg Campaign, October 1864. (The Kent State University Press, 2013). 447 pages, maps, notes, bibliography, index. ISBN: 978-1-60635-132-1 $45.00 (Cloth). Slowly but surely, the Siege of Petersburg’s various offensives are beginning to see the light of day in modern books on the subject. 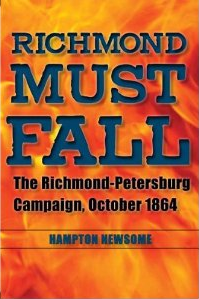 Hampton Newsome’s new book Richmond Must Fall: The Richmond-Petersburg Campaign, October 1864. (The Kent State University Press covers the end of Grant’s Fifth Offensive and the entiety of Grant’s Sixth Offensive against Richmond-Petersburg in October 1864. Events that month included one of Lee’s last major attacks of the war at the Darbytown Road on October 7, 1864, Union efforts to further probe Lee’s lines north of the James on October 13, 1864, and the double-pronged Sitxh Offensive, culminating in twin October 27, 1864 battles at the Boydton Plank Road and Williamsburg Road. The author argues that both Lee and Grant continued to take risks even in the weeks leading up to the 1864 Presidential election, when a mistake could prove disastrous for either side. TRichmond Must Fall proves to be a model campaign history, filled with descriptive accounts of the battles and appropriately leavened with first person accounts from the men who were there. Author Hampton Newsome, an attorney out of Arlington, Virginia, has also had another book on Petersburg published. Civil War Talks: Further Reminiscences of George S. Bernard and His Veterans was edited by Newsome, John Horn, and John Selby. Bernard, a veteran of the 12th Virginia of Mahone’s Brigade, a Petersburg native and a lawyer, wrote extensively on the Siege in the postwar years. One of the book’s chapters deals with Burgess Mill, and is an interesting read for anyone who reads and enjoys Richmond Must Fall. Mr. Newsome maintains his own Civil War web site at Ransack Garret and Closet. By October 1864 the war was going badly for the South. Their only real hope lay in a McClellan victory in the 1864 Presidential election, and even that was no guarantee of success. Grant and Lee could ill afford a disaster this close to the election, but both officers sought ways to inflict damage on their enemy during the course of this month. The two Darbytown Road battles, fought on October 7 and 13, 1864, were an extension of the Fifth Offensive, and a levelof equilibrium was not reestablished until those battles played out. The First Darbytown Road battle was one of Lee’s last planned offensives of the war. He sent two infantry divisions and a cavalry brigade against Butler’s Army of the James after the latter had captured Fort Harrison and established a strong foothold north of the James. Lee hope to launch a devastating flank attack and roll up Butler’s line, driving his army to its namesake river in the process. The attack started promisingly enough, routing Kautz’ cavalry, but lack of cooperation and Federal repeating rifles turned it into a bloody failure. E. Porter Alexander, First Corps artillery chief, asked for and obtained permission to start constructing a new Confederate line north from Fort Gilmer in an attempt to create a more cohesive Confederate outer defense line shortly after the first battle. The Second Darbytown Road battle, fought on October 13, was Butler’s attempt to disrupt this line’s construction before it was completed and impregnable. Butler’s attempt fizzled badly as Pond’s Brigade assaulted full entrenchments near the Charles City Road. He had told his commanders not to assault, but Corps commander Terry and division commander Ames disregarded his orders and were bloodied as a result. The Sixth Offensive occurred in late October 1864 and comprises the majority of the book. Grant planned to launch a two-pronged offensive, utilizing Butler’s army north of the James against Richmond, and the majority of the Army of the Potomac to the south against Petersburg. Grant hoped to pin enough Confederates north of the James River so that a Federal flanking column could reach and hold the South Side Railroad west of Petersburg, the last direct supply line available to that city. The advances were coordinated so that fighting would begin on October 27, 1864. In Butler’s army, the Tenth Corps tired to pin down the Confederates in their newly constructed trench line while the Eighteenth Corps got around the Rebel left flank. Longstreet, newly returned from a severe wound at the Wilderness, suspected Butler’s plan and sent Charles Field’s Division north to the Williamsburg Road, just in time to offer a bloody blow to Weitzel’s Eighteenth Corps. An assault to the northwest by a USCT brigade against Gary’s cavalry brigade also failed, and some Black troops were killed after surrendering. Butler’s attack prevented Lee from sending reinforcements south, but no more than that. This left any chance for success up to Meade’s Army of the Potomac. Meade had managed to strip his entrenchments around Petersburg of a large number of men, enough to create a 40,000 man strike force composed of men from the Second, Fifth, and Ninth Corps plus Gregg’s cavalry division. The Fifth and Ninth Corps advanced west from Fort Cummings, along the lines which had been gained in late September during the Fifth Offensive, and ran up against the new Confederate Boydton Plank road line, which took the Southern trenches all the way to Hatcher’s Run. While they were holding the Confederates’ attention, Hancock’s vaunted Second Corps and Gregg’s cavalry were to swing wide around these lines and head north to the South Side Railroad, entrenching there and dooming Petersburg. In the end, the Federal effort fizzled and almost ended in disaster. The Fifth and Ninth Corps advance was tentative and had too many men assigned for the job, while Hancock’s flanking force was too small and was cut in two at the Boydton Plank Road after an audacious attack by William Mahone. Hancock restored his position and shattered Mahone’s advance, but the offensive was over. Newsome writes that the Sixth Offensive produced little in the end despite the grand expectations. Federals labeled the attack a “reconnaissance” after the failure, a label which was thoroughly mocked by Southern and anti-Lincoln papers. 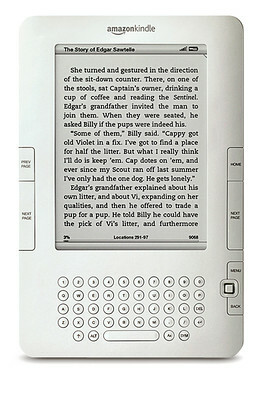 The issue was one of design, not execution. The author points to the failure of Federal intelligence to realize how well constructed the Confederate earthworks were along the Boydton Plank Road line. They also incorrectly reported where on Hatcher’s Run the Confederate line ended. It was a full mile further east than expected. This led to great difficulties in keeping the two wings of Meade’s advance connected, and Mahone’s knowledge of the area led to another of his now-expected flanking attacks which had caused the Second Corps so much damage and embarrassment in the past few months. This time the Second Corps exacted a measure of revenge, thanks to the minimal numbers in Mahone’s attacking column and some good work by the two separated Second Corps divisions. This is an excellent book. Newsome writes in an engaging style, always keeping the story moving along. He liberally peppers the narrative with first person accounts. The key commanders from each side are introduced with short introductions, and the book follows key players like Weitzel, Terry, Butler, Hampton, Hancock, and Mahone, even into the postwar years in some cases. Newsome provides commentary on the operations after describing them, offering up opinions on who was to blame for failures and who should receive the credit for successes. None of his observations seemed off base, save a comment about Mahone’s attack not needing to have been made on October 27. The Confederates had no idea Grant had called off the offensive prior to the attack, and Mahone’s attack had a real chance to eliminate significant portions of the Union Second Corps had supporting attacks been more successful. The maps are pretty good, depicting the various operations down to battery and regimental level when appropriate. Two shortcomings are the lack of elevation detail and lack of scale, a significant oversight. Newsome relies on the Official Records, as any good author will, but he supplements the ORs with a wide variety of archival sources, regimental histories, newspapers, and other primary accounts. The number of newspaper accounts are especially impressive. One of the common complaints of researches studying these late war battles around Petersburg is the lack of sources. Newsome, as Sommers did before him, lays this canard to rest. If a researcher knows where to look, excellent accounts of the fighting will surface. That said, the terrain near the Boydton Plank Road and Hatcher’s Run leads to some confusion by the participants, and the author does a good job of sorting through the various accounts to provide readers with a coherent picture of the whole. The first appendix covers the battlefields today. Significant portions of the Darbytown Road battles might still be saved, and the Boydton Plank Road line seems to be well-preserved, if still privately owned. The second appendix is an order of battle for the October 1864 battles. Newsome started with the October 31 returns from the Official Records and made changes to account for the battles of October 7, 13, and 27. As an aside, Newsome chooses to cover a month (October 1864) rather than just one offensive. At first I wondered why the author wrote about the Battle of Darbytown and New Market Roads (October 7, 1864) and the Battle of Darbytown Road (October 13, 1864), which occurred during the Fifth Offensive. Then I went back and read over Richard Sommers’ dissertation, which he later published in condensed format as Richmond Redeeemed. It turns out that Sommers was unable to cover these two battles in any detail because he had already written over 1200 pages (!) on the earlier, larger portions of the Fifth Offensive. For that reason, Newsome’s book is a good place to pick up after you’ve read Richmond Redeemed, and it makes sense why he started the book where he did. Richmond Must Fall is an excellent campaign and battle study. Newsome also covers the social and political aspects of the fighting around Richond-Petersburg and the Civil War as a whole. He describes the detritus of battle in the wake of the October battles, and has a look at how the Sixth Offensive affected the Presidential election of 1864, making sure to include soldiers’ thoughts on the election in the process. 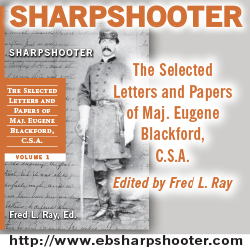 The book contains the significant subplot of Black troops in combat, their experiences, their risks, and the tragedy of men being killed after surrendering. Black troops who had been made prisoners of war were forced to construct E. Porter Alexander’s new trenches north of Fort Gilmer, former free men included. Butler, a proponent of USCT regiments, was furious over this development. Eventually Lee decided to stop making POWs work on any entrenchments, and the controversy died. In an attack by USCT regiments near the Nine Mile Road on October 27, members of Gary’s cavalry brigade murdered Black troops who had already surrendered, and Newsome digs out first person accounts on the Southern side corroborating these actions. Richmond Must Fall will be the standard campaign study of this period in the Petersburg Siege for a long time to come. It picks up where Richard Sommers’ Richmond Redeeemed left off, making these ideal companion volumes, though separated by 33 years in their publication dates. Siege of Petersburg students, of the war in the east, and of the armies and their constituent parts will want to own this book. Though more offensives remain without modern histories, the gap is slowly but surely fading away. This book is highly, highly recommended. It is comparable to Wil Greene and John J. Fox III’s work on the Ninth Offensive and Sommers’ efforts covering the Fifth Offensive. Buy this book. You won’t be disappointed. You keep finding books like this and my wife is going to come after you for depleting the family budget! 🙂 It’s a similar situation in the Schulte household. To make matters worse, I’e been known to do things like spend $125/reel on such obscure things as Confederate Inspection reports from the National Archives. I try to rationalize this by the cost in time and money of actually flying to DC and trying to feverishly transcribe as much as possible in a given trip. When you look at it that way, I come out ahead just buying these. Unlike most other campaign subjects which were business as usual for their 150th, Petersburg students are finding the Sesquicentennial exceptionally fruitful. You’re lucky! I’m thrilled you enjoyed Richmond Must Fall. Thanks so much for your tireless work in gathering so many great Petersburg sources at The Siege of Petersburg Online. Good work as usual. I’m looking forward to your future projects. Thank you for the kind words. It’s a labor of love, but my Siege of Petersburg site is coming along quite nicely. I’ve got unit pages up for all of the Union and Confederate regiments, battalions, and batteries except for the Confederate Second Corps. They didn’t see much action at Petersburg, so I’m saving them for last.